Earlier this year, we sat down with Robert and Anna Tumchewics to speak about their son, John, to hear about his passion for flying and how the late Barb Bromley played a pivotal role in establishing the scholarship in his name. Can you tell us more about John and his passion for flying? 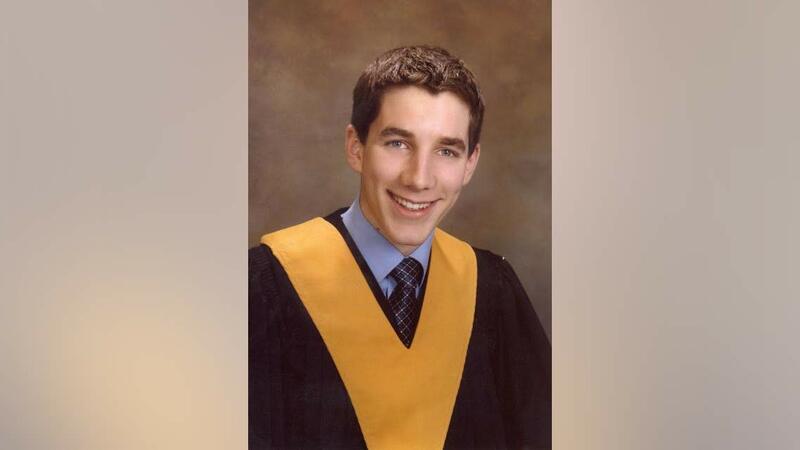 Anna: John was a young man with genuine wit, warmth and intelligence. He had friends of all ages. He brought laughter and entertainment to his family and friends with hilarious monologues on daily life details and world affairs. Robert: John had an interest in aviation, especially helicopters, at an early age. There were five aircraft maintenance engineers in his extended family and he was surrounded by aviation in his Northern environment. John’s first helicopter ride was at age 5 when he helped his father volunteer at Caribou Carnival with helicopter rides by Aero Arctic to raise funds for the Montessori school. He decided to make his dream of becoming a helicopter pilot a reality while working in an exploration camp in the barrens. Anna: John was a good helper. He enjoyed helping his friends, family, ski team members, co-workers and classmates. Helping his father and other friends, he gained many practical skills. He would cut wood, tow a car out of a snowbank, build furniture, give rides, buy coffee and doughnuts and lend a listening ear among countless other small acts of kindness in his daily life. How did the idea for a scholarship first come up? Anna: Barb Bromley encouraged our family to start the fund shortly after John’s accident. She spoke about the positive contributions of a fund with the Yellowknife Community Foundation. After discussions with the board, we established the scholarship in John’s memory in 2011. Robert: Helping is the primary focus of the Yellowknife Community Foundation and we really felt that this was in keeping with the way John lived his life. What would you say to those considering establishing a fund with the Yellowknife Community Foundation? Anna: A scholarship in John’s name is a meaningful way to remember him. We received good advice from the board members of the Yellowknife Community Foundation and would recommend establishing a fund through YCF to create a legacy in someone’s memory.